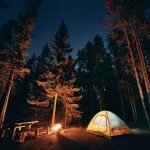 Summer Camping Safety | Resmini Law, LLC. 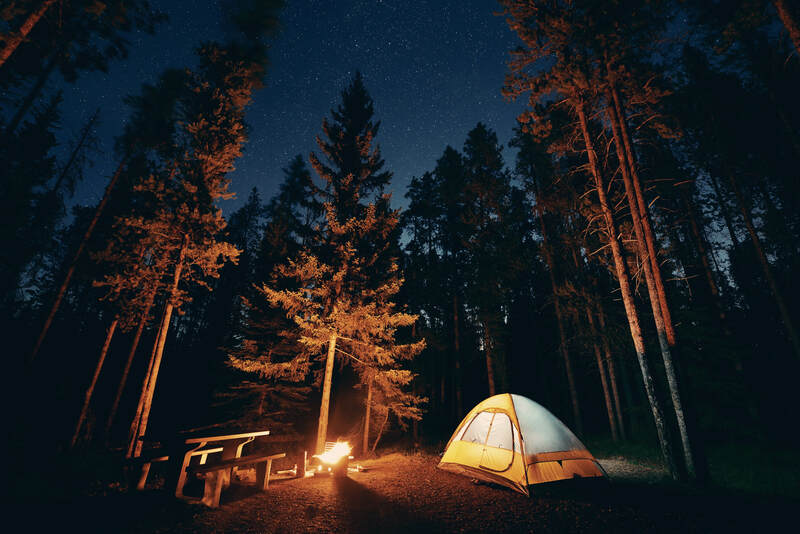 For those who treasure the great outdoors, camping during the summertime is a perfect way to enjoy pleasant weather, abundant sunshine and simply disconnect from the day-to-day grind. Whether traveling for the weekend or embarking on a long journey, campers should be sure to take proper precautions before beginning their trip. Although camping can be a fun and relaxing activity, there are several factors that can detract from the camping experience. Additionally, no camper wants to feel unprepared to take on Mother Nature. Whether you are using a traditional RV or your everyday vehicle, you should be sure to inspect your ride to avoid any potential issues during your trip. First, make sure to have a full tank of gas prior to beginning your journey. Also, make sure your vehicle’s battery is in good health – you don’t want it to die in the middle of your trip. Inspect your tires to make sure they are properly inflated and are durable enough to travel on uneven terrain. Keep in mind that changes in altitude can have a drastic effect on your tire pressure. It’s a good idea to have a spare tire, battery, and jumper cables handy if you have room in your vehicle. Even if you properly inspect and prepare your vehicle, there is still a chance of experiencing a mechanical issue. If your vehicle includes a roadside assistance plan, have a phone number handy in the event that something goes wrong. Keep in mind that you may not have full cell service where your vehicle is parked, so you may need to walk around until your signal strength improves enough to make the call. Just because it is 75 and sunny when you leave does not mean the weather will be pleasant throughout the duration of your trip (especially in New England). Check the forecast before you leave and make sure to pack your clothing accordingly. It can get cool very quickly in higher-altitude areas, so it’s best to include plenty of cold weather clothing and blankets. Depending on the size of your vehicle, you should try to fit as many supplies as you can. Pack plenty of nonperishable food, drinking water, sunscreen, bug spray, as well as a flashlight, batteries, a first aid kit, sleeping bags, and any other essentials that you think you’ll need. As a rule of thumb, it’s simply better to have extra of something than not enough. Whether you are camping alone or with fellow campers, it’s wise to tell a family member or close friend about your trip. In dire situations, you may not be able to call for help. Having a loved one know your whereabouts and expected duration of your trip can help create awareness of a possible emergency if you do not return on time. If you have cell service, make sure to check in periodically with your point of contact to keep them in the loop. Many camping trips have gone afoul by one member of the group getting lost. Use the “buddy system” to stay together at all times. Wandering off by yourself to fetch some wood for the fire or to simply explore the area is not a good idea. It is very easy to become disoriented in an environment that is new and unfamiliar. Traveling in groups will minimize the chances of getting lost in the wilderness. Summer camping safety is all about being prepared and using common sense. By keeping these simple tips in mind, you will be able to enjoy a safe and incident-free camping experience. Happy trails!